Thanks to Socheat who sent us a link found on the net. A souvenir page created by the AHA (Anciens de l’Hélico de l’Armée de l’Air française), French Air Force Helicopter Association. 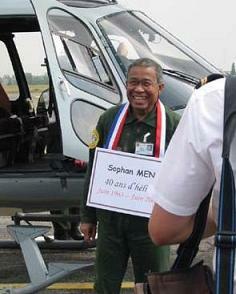 After beeing refugee in France, Men Sophan worked as a civilian personal in the French Air Force.